Nelson Estates Sotogrande - F.A.Q. We have listed below the questions most frequently asked by our clients. If you have a question which isn’t listed below please feel free to contact us directly. As part Nelson Estates Sotogrande service we guarantee to reply to you ASAP and free of charge. 1. Whats the weather like in the winter? Much, much warmer than Northern Europe with a lot less rainfall. Most people on the Costa de Sol don’t even feel the need for central heating and with over 320 days of sunshine every year, overcoats are a rare sight even in December and January. 2. How do we know that our money is safe? 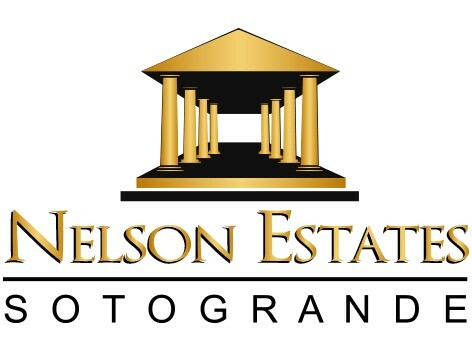 Nelson Estates Sotogrande will only allow your lawyers to release your money where a bank guarantee is in place specifically for safeguarding your payments. In the case of default you will receive all your money back plus interest. 3. What if the builders run into major problems and can’t finish the property? As described above your money is bank guaranteed. However, the days when this kind of thing used to occasionally happen are very much a thing of the past. New Spanish and EU laws have been in place for many years now to protect the interests of the purchaser. 4. Should I use a solicitor from my own country? This is not at all necessary, as your lawyer back home would still have to use a local Spanish lawyer resulting in you receiving 2 sets of legal bills. All communications from your Spanish lawyer will be in your own language. 5. What other costs on top of the purchase price can I expect? Normally you should allow an additional 10-13% on top of the purchase price for legal and notary fees, Land Registry, VAT or Transfer Tax and Stamp Duty. Your lawyer will give you a detailed estimate as part of his quotation. If you’re considering a mortgage, the bank may charge an arrangement fee and the cost of a survey. 6. Whats the benefit of buying a new property? New properties have a 10 year guarantee very similar to the NHBC guarantee in the UK. Although this type of guarantee has been compulsory in many Northern European countries for many years it is now also compulsory in Spain. Most things we buy in this world have a guarantee so it obviously makes sense to have a guarantee on such a large investment as a property. 7. Is there a building guarantee with a new property? Yes. A compulsory 10 year guarantee. 8. What are community fees? Community fees apply for properties that have the benefit of services such as a swimming pool, 24 hour security, up-keep of gardens and general maintenance. As part of Nelson Estates Sotogrande service we will ensure you have all this information before you make your final decision. 9. Is the property freehold? 10. Can I get a mortgage? Yes, they are readily available and mortgage rates in Spain are generally lower than most European Countries. 11. I may want to rent the property out. Can Nelson Estates Sotogrande help with this? Of course and as part of Nelson Estates Sotogrande services we can help you with all aspects of property management. Even allowing for mortgage payments and letting costs, you can enjoy a healthy rental income from your new property. 12. What happens about utilities like water and electricity? As part of Nelson Estates Sotogrande Group Internationals services we will ensure all your services are connected. All utility bills can be paid directly from your local Spanish bank account. 13. How do I open a bank account in Spain? We can help you here too. We usually arrange this between yourself and your local lawyer. It’s very straightforward to do. 14. I’m buying a new property, will I be able to inspect it before I complete? Absolutely! With a new property, before you instruct your lawyer to complete the purchase we will inspect the property with you and detail anything that might need putting right. Once rectified to your satisfaction, the title deeds can then be signed. 15. Do I have to be here for each stage of the process? No. You can instruct your lawyer to act on your behalf, even for the final completion. 16. What if I change my mind before completion? You are committed to the Private Purchase Contract but some people do sell their new property before completion and can benefit from profits of up to 30% or more on the money they initially invested! 17. Whats the worst thing about living in Spain? Lots of shops close for 2 to 3 hours in the afternoon. You may also find that long lost relatives and friends suddenly appear out of the blue. 18. Should we learn the language? If you are planning to work in the Spanish community it is advisable. Otherwise, you’ll soon be getting by in Spanglish and picking up the useful phrases which add to the quality and fun of life. Spanish is regarded as one of the easier languages to learn and many people get started by using a phrase book or Phone App . For the more serious there are dozens of low cost language schools that cater for students of all ages and ability! And for the less serious, there are probably more English speaking establishments on the Costa de Sol than anywhere else in Spain. 19. I’ve never driven in Spain. What are the roads like? Much less congested than most of Northern Europe and because of the weather, driving on wet roads becomes a rarity, rather than the norm. It normally only takes a few days of being careful to get used to driving on the right and most of the road signs are the same. Spain’s a big country and with lots of open spaces, fantastic motorways and lower traffic densities, particularly away from the main coastal road during August. Touring inland Spain by car is very popular. 20. How do the Spanish treat foreigners who live there? Like most new arrivals you will probably find them to be tolerant, very family orientated and friendly. Even more so if you learn a few simple Spanish phrases. The recent economic prosperity means that the Spanish are enjoying life to the full, particularly in the South, were new foreign arrivals are generally seen to be contributing to the financial growth of the region. You might get the odd strange look if you go shopping in shorts and sandals in December, but then you would back home as well. Living in Spain alongside or even amongst the Spanish has proved to be a popular choice for millions of foreigners, and very few go back! 21. What about currency & exchange rates? There are massive sums of money being transferred daily to Spain. Your bank will be able to handle transfers for you. However, there are currency specialists who deal on an hour to hour basis with the money markets of the world. These specialists are able to often offer far better rates than your bank. The larger the sum being transferred the larger the savings. If this service is of interest to you Nelson Estates Sotogrande Group International will be pleased to introduce you to a specialist. Please ask us. 22. Who pays you the commission? The vendor. Nelson Estates Sotogrande Group International never takes a commission or fees from you the buyer. If you have any questions that have not been covered above, please feel free to contact us directly.